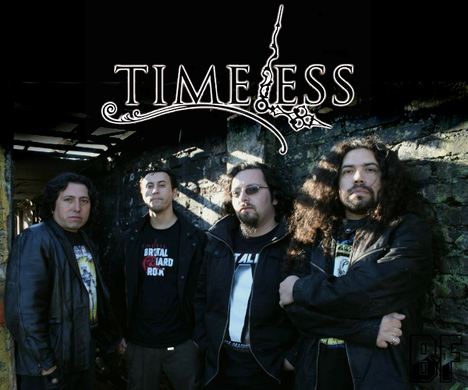 Chilean band TIMELESS was formed in the city of Talcahuano in late 2005 by Andrés Oreña (Vocals/Keyboards) and David Valenzuela (Guitar), with the firm intention of making old-school hard rock, mainly influenced by bands such as Rainbow, Scorpions and Black Sabbath. They propose something different in a circuit dominated by bands of heavy, thrash and death metal. 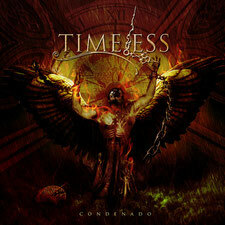 The band has released the first EP "Promesas Rotas" in 2009, and in 2012 their LP "Condenado" was out. They put the Spanish lyrics on a heavy and melodic sound. Music and Lyrics by Andrés Oreña. Mixed and mastered by Nestor Santibanez. Cover Artwork by Ruben Reyes from Aqua Graphic. Recorded at various studios in Talcahuano, Concepción, Colonel and Gothenburg (Sweden). The LP features Mikael Carlsson (Under Cover Lover) on Bass, Ricardo Cortés (ex-Timeless) on Bass and David Prats (Sixth String)　on keyboards and vocals. They have already received good reviews of the LP from especially Hispanic press. Now it is available to download for FREE from MediaFire. Click on the MediaFire button below.